Every detail in your wedding is very important and photographs are the only way to preserve them and to make you remember how the flowers looked like after they wilt, what will your lasting memories of the guests be on your wedding day, the amazing dress you wore for that one day and how the photo do it justice. This is why photography should be your priority, and the best investment for future generations. Not only as a visual record of the context around your wedding, but as a document of the love story during the day, told by spontaneous emotional moments captured by a professional photographer. A great photographer will make any wedding look amazing by capturing the love and emotion your friends and family bring to the day, and that is priceless. 1. Make a connection with your photographer. Choose a photographer to who you feel comfortable with, you are going to spend 8 hours together so you need to feel free and confident. Keep in constant contact and if possible have a personal interview prior the wedding day. When choosing your photographer, make sure his style fits with you, and then just trust him. 2. Make a list of Must Have photos. If you have specific request such as a particular family member or specific photo during your photo session or reception, make a list so your photographer doesn’t miss those special ones. 3. Natural lasting make-up, less is more. Always make a test with your professional make-up artist. Keep in mind that your hair and make-up have to last and look fresh for the entire day. And that you should have an estimated time for this process. Have a wedding planner to take care of schedule and timing, and if necessary to handle with her professional experience any unexpected event. This way you won’t need to worry about anything but enjoying your day and look amazingly relaxed and happy. Remember this is your day and it is a celebration. 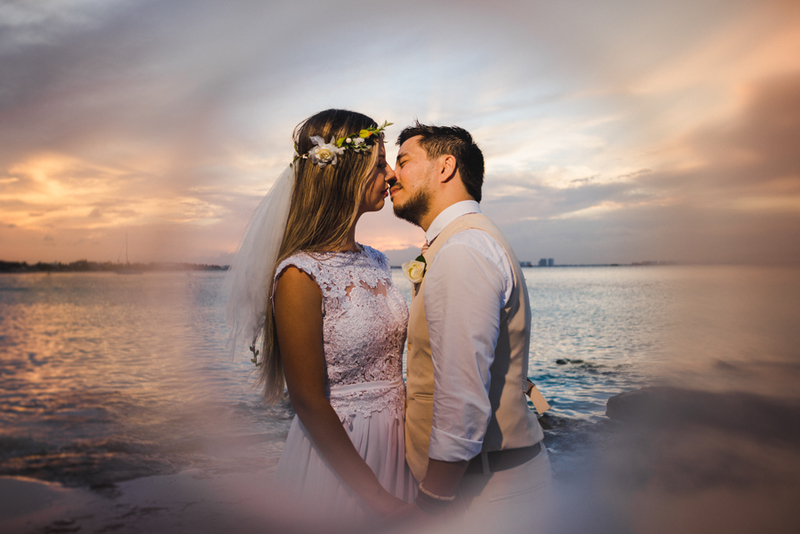 Keep an open mind on events out of your control, embrace them and make your wedding unique where everything that matters is the love and the shared experience with your dear ones.